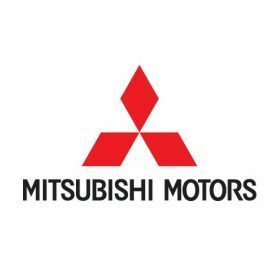 It has been announced by Mitsubishi Motors Coporation (MMC) the Eclipse Cross has been awarded a five star collision safety rating from the Japan New Car Assessment Program(JNCAP)*1 which is the highest level when testing for crash performance. The Eclipse Cross is constructed with energy absorption materials, deformation resistant passenger area, with seat belts and airbags for added safety. Energy has been improved in the headlamps, bumper and under the bonnet, more space in the engine bay for pedestrian safety. 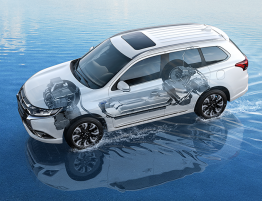 It is also equipped with Forward Collision Mitigation(FCM) braking which alerts the driver of oncoming danger and enhanced braking performance to reduce emergency effort. 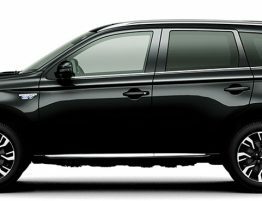 1…Japan New Car Assessment Program; run by the Ministry of Land, Infrastructure, Transport and Tourism and the National Agency for Automotive Safety & Victims’ Aid (NASVA).